From 2007 to 2011, their public policy spending steadily rose from $21.2 million to $62.9 million a year, an overall increase of more than $40 million. That's a staggering 50 percent increase in just 5 short years. Who are they kidding? This radical organization accepts donations from good-intentioned people hoping to support those dogs and cats shown in late night commercials and in turn, they end up funding an extreme animal rights agenda to "modify" the lifestyle habits of American consumers. 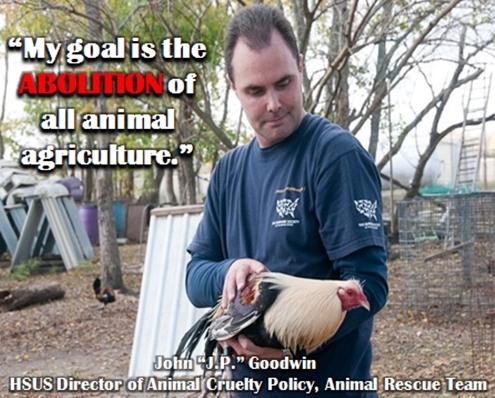 If recent trends continue, HSUS will continue to focus their spending on their ultimate goals to "end all animal agriculture" and to "stop all hunting in the United States". American farmers, ranchers, and sportsmen are under attack from America's wealthiest radical animal rights group, the Humane Society of the United States. The lies, deceit, and propaganda will continue to spread until the unified efforts of American agriculture, sportsmen, and animal owners are able to fight back against HSUS. Farmers Markets Thriving in U.S.